A Licensed Costume with T-Shirt and Removable Cape. A Licensed Superman T-Shirt Set including T-Shirt and Cape – Ideal for Halloween, Film, Superhero, and Comic book fancy dress occasions! Are you ready to reveal your inner Superhero? 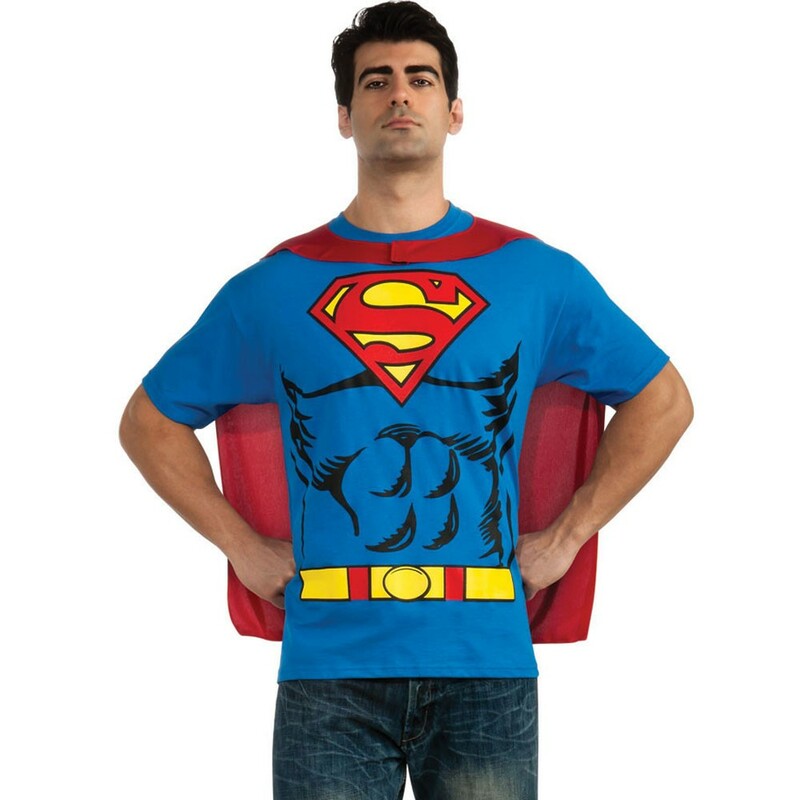 Then look no further, as this licensed Superman T-Shirt Set will be sure to do just that. This super costume includes a T-shirt and Removable Cape. The Blue T-shirt features the iconic ‘Superman’ logo proudly in the centre of the chest, with cartoon print chest and belt detailing. Be ready for take-off in this Superman T-Shirt Set with the quick addition of the Red Removable Cape that attaches with Velcro at the back. Transform your look quicker than Clark Kent can in that Phone Box, and be the ultimate Superman with this Superman T-Shirt Set.